The gaps between strategy and execution are very real and at the heart of why so many business growth plans fail. Communication, alignment, staff attrition, “agendas,” and a hundred other factors contribute to breaches between strategic leadership and the ultimate actions of the tacticians who execute the plans. A common challenge among organizations is how to identify these myriad gaps, define directives that fill them, and align leaders on making them happen…all while remaining aligned with the core purpose of the organization (aka brand vision). Addressing this challenge requires a business process that spans a 360-degree view of the organization and its environment on every front, including external forces such as suppliers, distributors and customers. This process can be the catalyst that brings the business model to life. An ideal solution might be found in a well-defined, repeatable process that strives to make the lives of all the organization’s stakeholders better at once. 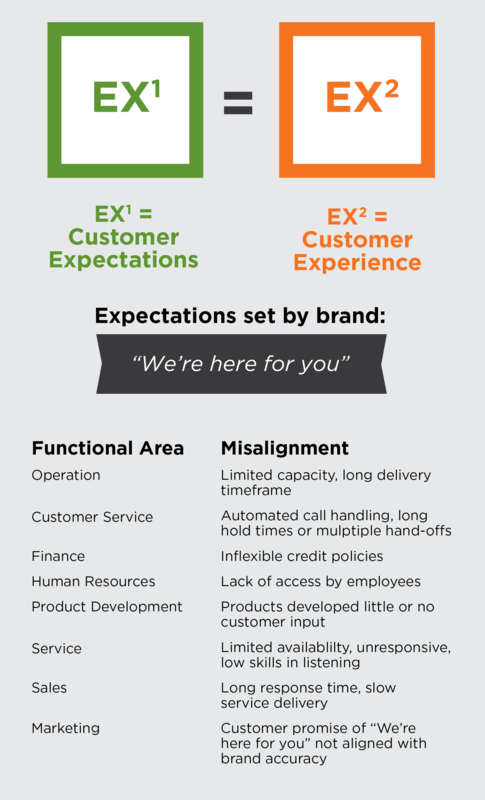 By aligning common goals of all the organization’s stakeholders and corporate goals, core skills, talent, and assets, the process would guide operations to satisfy the ‘ultimate equation:’ Customer Expectations = Customer Experience. That means aligning employees, leaders, partners/distribution channels, operations, and others with customer goals in a holistic business process. Oh yeah, and it has to be simple. I’d love to hear your feedback on it.